If you've been to Asia Asia Food Hall then collect five Brummie Points and announce loudly across your office that you are a better citizen than those around you. If you've not been, go and sit on the naughty step (it's this one here) and have a long hard think about your behaviour. 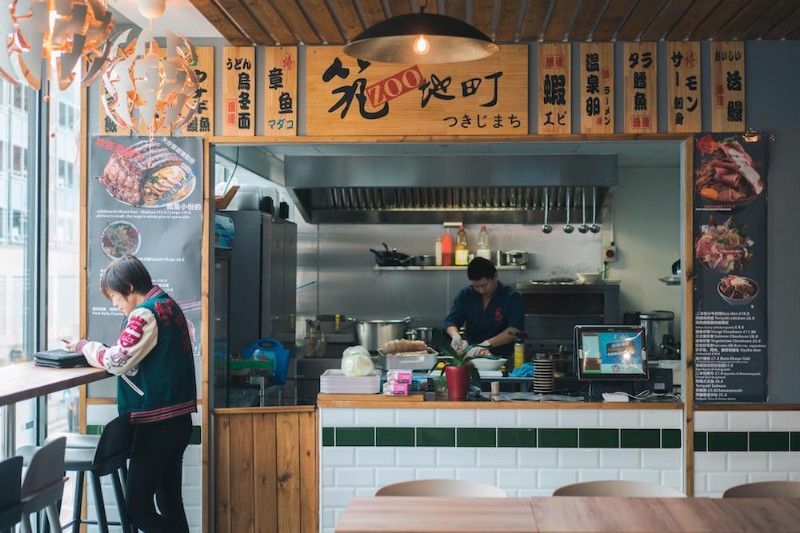 Nestled between China Town and the John Lewis steps it is, for our money, the best foodie thing to happen to Birmingham in 2018. And in case you've not been going because you're a big cowardy custard about cocking it all up, here's what it is, how it works and what you could/should be ordering. Another good question, you're on fire today. It's both very simple and oddly convoluted — which is half of the enjoyment. Enter at street level just after Dudley Street becomes Pershore Street, to the left of the David Bowie graffiti, opposite the Indoor Market. If you go past here, you've gone too far. Take the lift to level one and pay cash or use a card to load credit on to a top-up card. Get yourself something you've never heard of from the next door Drinks Bar (상일 수박소다 캔 — watermelon soda, ラムネ - Ramune carbonated yuzu or Hite Jinro's Korean Hite pale, anyone? ), then pick a trader and a dish, or four. Order directly at the stalls using your top-up card, then you'll be handed a buzzer which will get all happy and animated when your food is ready for collection. Go with a crew and you can order food from multiple traders, then eat it together at the communal tables. Every dish on every menu is approved by AAFH, with plenty of ordering advice available but strictly no secret dishes reserved for the local crowd: we got the same menu choices as the otherwise exclusively Asian clientele when we visited. 1. Papaya salad 2. Okonomiyaki 3. Dapanji Legman 4. A mere sample from the drinks bar. Everything, you fool! But if 350 dishes is pushing it then Bangkok Cafe serves the best Thai food we've had in the West MADlands. 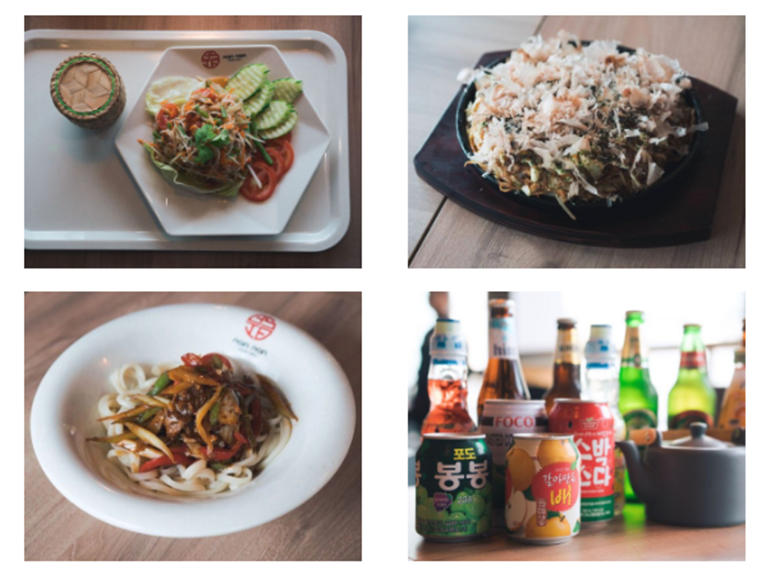 Get the zing-filled, shredded papaya salad (£8.95), maybe followed by Surapong's pick, a pad krapao (£7.50) — a spicy wok dish with your choice of meat or fish, a fried egg and jasmine rice. Or go all in on the tom saep (£8.95), which is a super traditional hot and sour offal soup with mega herbs. Chef Liu from 'Zoo Japanese Sushi' (pictured top) is actually from China but spent years in the kitchens of Japan, learning specialisms we just haven't seen in the region. Okonomiyaki is sort of all-in-one dense, savoury pancake, with "what you like grilled" — (a loose translation), topped with fish flakes that appear to dance over the top of the dish. It's an acquired taste but working out whether you like the dish, famous in Osaka, is a darned sight cheaper than shelling out for flights. Liu's also making proper good sushi and rich pork belly ramen — roasted not braised because, he tells us, that's the fashion with young Asians now. AND WHAT SHOULD I EAT NEXT? 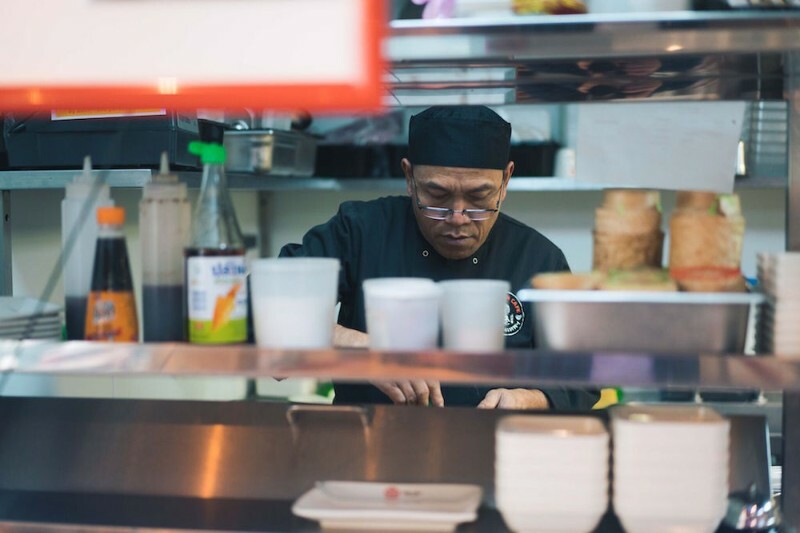 You've ploughed through Thai, Japanese and probably tried some familiar teppanyaki. But have you heard of Uyghur cuisine? Akpar is from Xinjiang province in the North West of China, a predominantly Muslim area offering a totally different kind of Chinese spice. 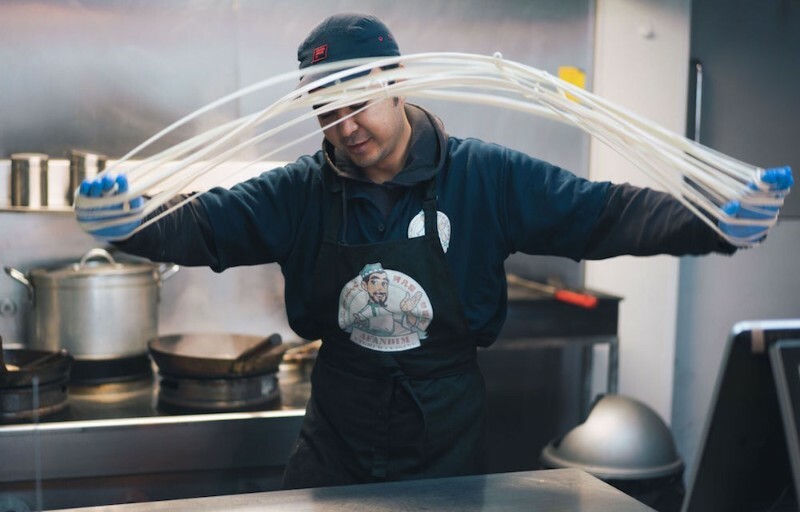 Akpar, who moved to the UK in 2008, learned his kitchen skills from his Mum and will totally make you fresh noodles if you order his pick from the menu, dapanji legman (£10.80) — get it with beef. Hugely popular with students from the region — who were previously travelling to Leicester to get their Uyghur food fix — Akpar's already got a bit of a cult following. There are also incredible dumplings at Sakumen, a dish called black pork at 'Phat Duck' (which chef learnt from the hawker stalls of Singapore), a matcha-heavy dessert and tea bar, and essentially, a lifetime of must-try sort of dishes. So probably start now? Open 11am til 8.30pm, 7 days a week at 10 Pershore Street, B5 4RU. Free entry.